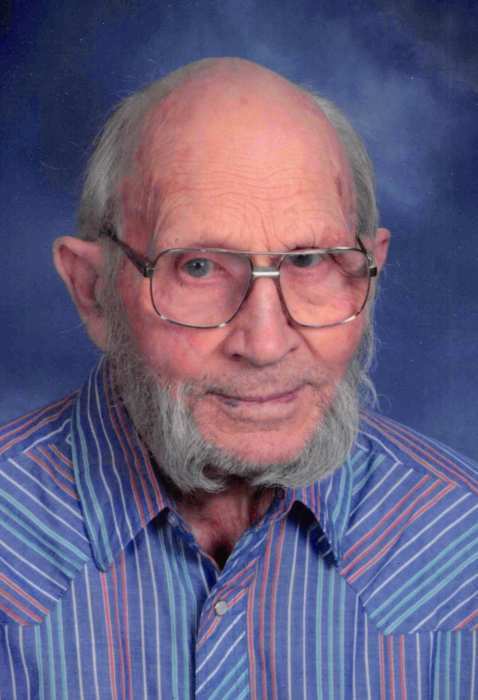 Ben Warner, 88, of Gothenburg, Nebraska, died July 9, 2018 in Gothenburg, NE. He was born December 7, 1929 at the family home, northeast of Lexington, NE, son of Murry T. and Frances (Adams) Warner. Ben attended schools at Lexington and lived at Lexington until he moved to Gothenburg in 1961. Ben married Lorraine Johnson on August 27, 1950 at Lexington and to this union five children were born. He served his country in the Army from July 1951 to June 1953. After his honorable discharge, he returned to farming the land. Ben had a deep love for the land and working cattle. He enjoyed family gatherings with all the grand children and great grandchildren. He was a member of the American Lutheran Church. Survivors include; sons Lonnie (Sandy) Warner and Brad (Michele) Warner all of Gothenburg; daughters: Patricia (Duane) Stevens of Sumner, Linda (Eldon) Rodine of Gothenburg, son-in-law Michael Houchin of Gothenburg; 10 grandchildren, 15 great grandchildren; brothers Ray, Lewis, James (Ann), Larry (Sherry) Warner; sister Frances Budd; brother-in-law Marion Johnson; numerous nieces, nephews and extended family and friends. Ben was preceded in death by wife, Lorraine in 2008; daughter, Pamela Houchin; grandsons, James Houchin and Joshua Warner; parents; brothers Murry Jr., John, David, Robert, infant brother; and sister, Ruth McCurry. Visitation will be held at Blase-Strauser Memorial Chapel, Gothenburg, Nebraska; Thursday, July 12, 2018, 1:00 pm - 8:00 pm. with the family present from 5:00 - 7:00. Funeral services will be held at American Lutheran Church, July 13, 2018 at 10:00 am with Pastor Jon Mapa officiating. Interment will follow in the Fort McPherson National Cemetery, Maxwell, Nebraska. Memorials may be directed to the Gothenburg Senior Center, 410 20th Street, Gothenburg, NE 69138 or Gothenburg Volunteer Fire Department, 602 Tenth Street, Gothenburg, NE 69138.